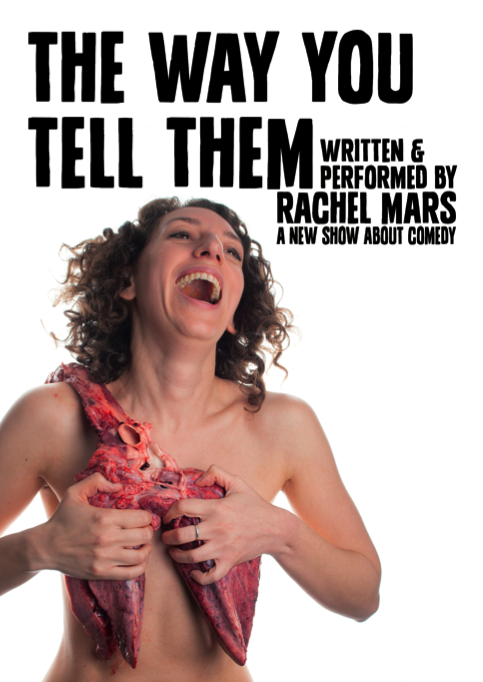 Rachel Mars is a slight, unassuming woman with an explosion of dark curls and a back catalogue of introspective, pseudo stand-up, fairly political work to her name. Her latest piece, The Way You Tell Them, a one-woman mono-dramedy about death, comedy, and not taking things seriously enough, features toilet humour right out of the gate. It’s a talky, dancey, jokey piece that’s hilarious and uncomfortable in turns, as it confronts us with our own inappropriateness and questions where the buck stops. 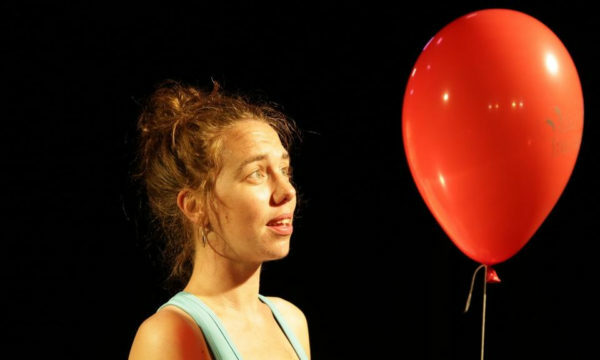 A self-confessed comedy addict, Mars explores compulsions to always go for the joke. She deconstructs stand-up, discusses her Jewish family’s past, and tells jokes as she journeys through the difficult ethical terrain of the jokester. Pulling out Andy Kaufman’s Mighty Mouse routine and Oppenheimer recordings, she slaps us with our desire for her to play the funny woman, before taking the sting out with a well-timed bit of decommitment (one of the comedian’s most useful tools, she explains). 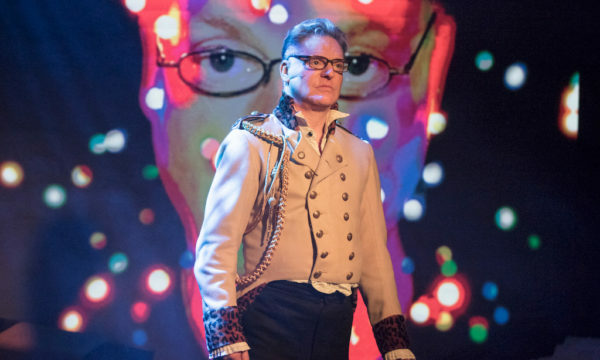 This show is difficult because it forces us to undertake self-examination even as we laugh. There are technological gaffes and jokes that occasionally fall flat, though most of her material is hilarious, and sometimes it seems we might teeter into the yawning pit of didactic, political performance shared by slam poetry and Eve Ensler. Yet Mars is earnest, transparent, and likeable enough to hold onto us through it all. Her enquiry is inextricably intertwined with her Jewish culture and a past littered with tragedies of the Holocaust, but The Way You Tell Them isn’t about that. It’s about having the courage to own your position, and the integrity to atone when you don’t hit the mark. Mars is delightfully accessible and quick-witted, and her acidity, when it comes, is laced with sugar so it goes down a treat. The Way You Tell Them is on until 25th January 2013, for further information or to book tickets click here.